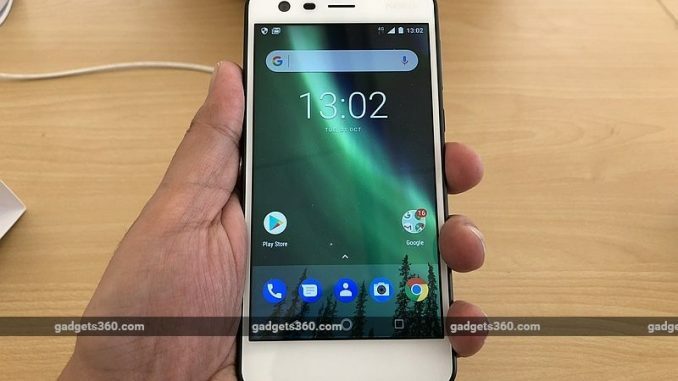 HMD Global has confirmed that Google’s Project Treble will not be a part of any currently available Nokia phones, including the most affordable Nokia 2 and the flagship Nokia 8. The project, which was announced back in May, enables faster Android updates by reducing the burden on device manufacturers. It is available as an architectural change on Android Oreo. Responding a large number of queries related to the arrival of Project Treble, an HMD moderator on Nokia’s community forums stated that the new development will not be a part of the Nokia smartphones that were debuted with Android Nougat. “HMD is fully committed to implementing Project Treble on all new Android Oreo products in the near future, and we apologise for any disappointment this may cause,” the moderator wrote. Clarifying the take, Chief Product Officer Juho Sarvikas said that HMD hasn’t provided a separate vendor partition in ROM space that is required to enable Project Treble on Android Oreo devices. Sarvikas also highlighted that the absence of the Treble support will have “no end-user impact” and assured that the company is still committed to providing future updates. “Not that there is no end-user impact. Just means that we do a bit more heavy lifting on engineering to keep you Pure, Secure, and Up-to-Date,” the executive tweeted. Despite not supporting Project Treble for its current lineup, HMD released Android 8.0 Oreo for Nokia 8 in November – as per its original commitment of providing the latest Android before the end of this year. The Finnish company is also set to release Android Oreo beta builds for the Nokia 3, Nokia 5, and Nokia 6 that would be available soon for early testers. Moreover, the company is in plans to offer Android Oreo on Nokia 3 even by skipping a due update to Android 7.1.2 Nougat. HMD isn’t the only smartphone vendor that is not bringing Project Treble to its current models. Last month, OnePlus also announced that it will not bring Treble support to OnePlus 5T and its predecessors. The same project is well available on the latest Pixel devices and is debuting on models such as Huawei Honor 9 and Honor 8 Pro.